Shades of Green specializes in native perennials and adapted plants that are proven to thrive in the often harsh conditions of Collin County and North Texas. Our summers are HOT, our spring and fall sometimes short (or nonexistent), and our winters totally unpredictable. Factor in our alkaline clay soil and too-much or too-little rainfall, and the challenges plants face are daunting indeed. Plants that flourish in other parts of the country simply can’t hack it and won’t survive. But natives – along with some well-adapted non-natives – will not only survive but thrive. At Shades of Green we like to say, “We’re from here, so we know what grows best here.” The same is true for plants native to the blackland prairie of North Texas. They’re from here. They have evolved and adapted over thousands and thousands of years to withstand the soil, climate, pests, and tough elements. 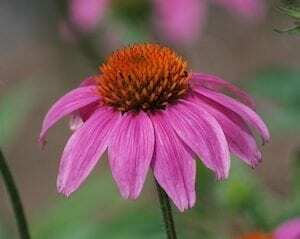 These plants are tough as Texas and will look great in your landscape year after year with little fuss or maintenance. Native and well-adapted plants are good for your budget and the earth as well. They require much less water and are more pest and disease resistant, requiring less treatment with control products like herbicides, pesticides, fungicides, and fertilizers. You’ll find that just a little organic fertilizer and a few natural soil amendments a couple of times a year will produce great results. Shades of Green started our own tree farm, Brillo Verde, in 2001. The farm insures we have a steady supply of quality, Grade #1 native and well-adapted shade and ornamental trees at the most competitive price points. The farm also produces over 40,000 native Texas perennials in over 120 species each and every year, making Shades of Green the best place to find perennials in North Texas. Shades of Green, the right place for the right plants!